About Us Meet DGK Group, P.C. DGK Group is your professional source for results-oriented, tax, accounting and outsourced financial management services. We help clients tackle and overcome their particular business and individual challenges. With substantial tax, accounting and financial experience, our Partners and staff bring to the table exceptional understanding of numerous industries and organizational structures. In addition we share hands-on experience ranging from entrepreneurial to established small & mid-sized business environments. DGK boasts a complete tax, accounting and finance skill set and such is supported through our sister company, DGK Financial Advisors Group, LLC. Our depth of experience is an indispensable tool, enabling us to address many tasks that company CEOs, CFOs and business owners lack adequate time, expertise or appropriate resources to accurately complete. 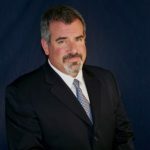 Nicholas J. DeStephanis, CPA, CCIFP, CGMA, Partner has over 25 years of combined public accounting, tax and consulting experience. Prior to co-founding the DGK Group, P.C., Nick was a Partner for seven years in the accounting firm of DeStephanis & Associates, P.C. He serves as the firm’s primary accounting and tax consulting Partner as well as its professional, ethical and accounting practice standards lead Partner. Nick received a B.A. in Business Management with an emphasis in labor/management relations from the Pennsylvania State University. He attained further accounting and business education from LaSalle University and then obtained his CPA license in 1995. Nick successfully obtained the professional designation of Certified Construction Industry Financial Professional (CCIFP) in September 2008. Nick is one of the first 500 in the United States to receive the designation. Brian E. Good, CPA, CGMA, Partner has over 30 years of combined public and industry consulting, finance and accounting experience. Prior to co-founding the DGK Group, P.C. Brian spent five years as the corporate controller of both a venture capitalist based turnaround entity in the global chemical industry as well as an S&P 500 pharmaceutical and consumer products outsourcer based in the Philadelphia region. Previously, Brian worked five years in public accounting with Deloitte & Touche, L.L.P. in its Emerging Growth Business Support Group, and four years with a local Philadelphia based auditing firm. Brian serves as both a financial management outsourcing Partner as well as its lead business development and financial services partner. He is a CPA with a B.S. in Accounting and Economics from Eastern University. Sean M. Collins, CPA, Partner has over 14 years of combined public accounting, tax and small business consulting experience. In 2015, after seeing a major opportunity in the market for a creative CPA to build a new practice Sean decided to open his own firm. In order to continue building a firm with a team approach, after 3 successful years managing his own practice he merged into DGK Group, P.C. Sean received a B.S. in Business Administration with an emphasis in accounting & finance from Widener University. He holds a CPA license in the State of PA, and is a licensed Tax Preparer with the National Directory of Registered Tax Return Preparers. “Ten years ago, we weren't large enough as a company to have a CFO yet, but our growing business needed more advice than a bookkeeper provided. Not only did DGK take care of all of our reporting and compliance needs, but the 'free prize inside' was the weekly advice we received from their team. They specialize in helping entrepreneurial firms and have guided us numerous times on how to run and grow our business from a financial perspective. If you want to grow your business profitably and are thinking about partnering with a firm that is much more than just an accounting firm, reach out to DGK."